Javier Campos, Ph.D is professor of computer science at the University of Zaragoza, Spain. He has supervised the completion of 100 master theses and three Ph.D theses. He has also been co-chair of the IEEE IES Technical Sub-Committee on Industrial Automated Systems and Controls and associate editor of IEEE Transactions on Industrial Informatics. His research interests include modeling and performance evaluation of distributed and concurrent systems, Petri nets, software performance engineering, and performance modeling of manufacturing and telecommunication systems. He has co-authored over 90 papers published in refereed journals and conferences across the world. Carla Seatzu, Ph.D is associate professor of automatic control at the University of Cagliari, Italy. Her research interests include discrete-event systems, hybrid systems, Petri nets, and manufacturing and networked control systems. She has published over 150 papers and one textbook on these topics. She has also served as general co-chair of the 18th IEEE International Conference on Emerging Technology and Factory Automation, and is currently associate editor of IEEE Transactions on Automatic Control and Nonlinear Analysis: Hybrid, the Conference Editorial Board of the IEEE Control System Society, and the IEEE Robotics and Automation Society. Xiaolan Xie, Ph.D is professor of industrial engineering, the head of the Department of Healthcare Engineering, and the head of the IEOR team of CNRS UMR 6158 LIMOS for Ecole Nationale Supérieure des Mines, Saint Etienne, France. He is also chair professor and director of the Center for Healthcare Engineering at the Shanghai Jiao Tong University, People’s Republic of China. His recent work has focused on design, operations management, and performance evaluation of healthcare and manufacturing systems and their supply chains. He has authored/coauthored over 250 publications, including more than 90 journal articles and five books. 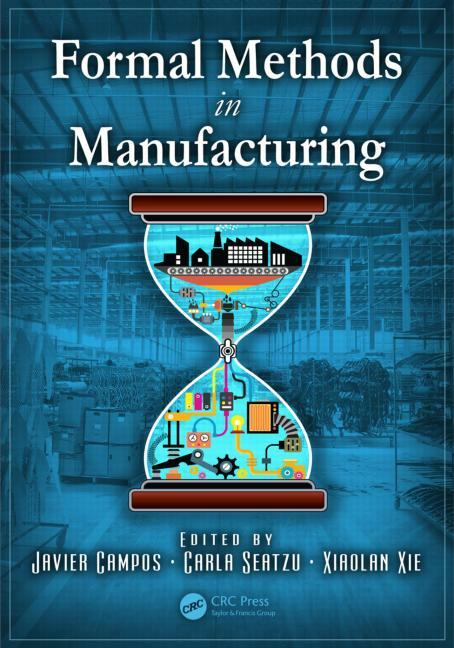 "... presents a current, state-of-the-art solution to common problems in manufacturing systems, and all chapters are written by leading experts in their respective fields. ... Many examples are given, allowing easy understanding of the topics and making the book more attractive for the readers. In summary, Formal Methods in Manufacturing is a valuable tool for engineers, researchers, students, and educators who are interested in the areas of manufacturing systems and discrete event systems." 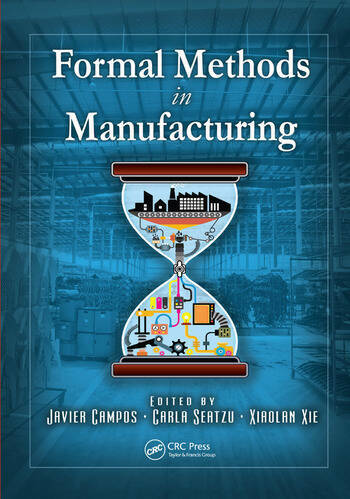 "The book gives a comprehensive overview of the state of the art of formal approaches to engineering issues in manufacturing. Readers can benefit from this aggregated knowledge and learn about the benefits of each method." "… authors are well known authors in the discrete event systems community and it is a guarantee that the material is a high quality and very well presented. The problems are studied from different perspectives, using different formal models: finite state automata, Petri nets, stochastic fluid models, max-plus algebras permitting to the reader to understand the advantages and disadvantages of each formalism. In all chapters, many examples are considered, facilitating the understanding of the theoretical methods making also the book more attractive for the reader. "This book is a must for engineers, researchers, students and educators that work in the areas of manufacturing systems and discrete event systems."